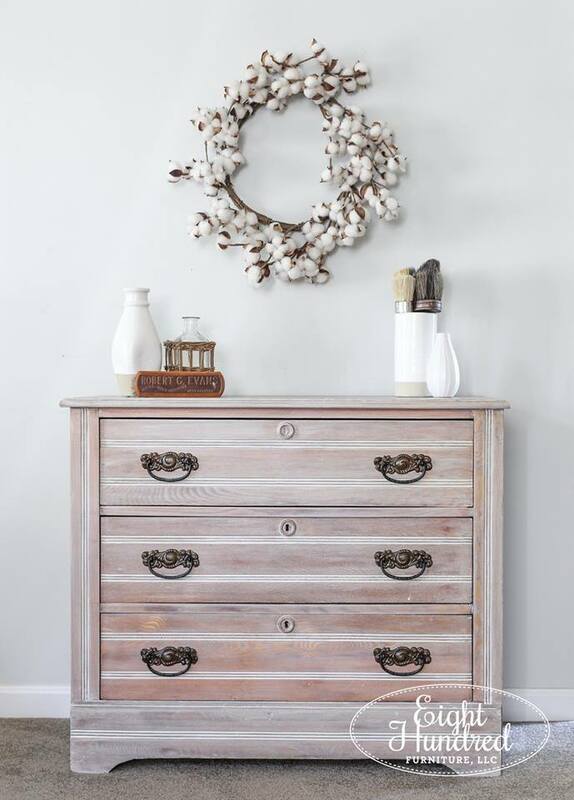 "Whitewashing is a lovely way to add softness but maintain the natural beauty of the wood grain on pieces of furniture. When I saw this gorgeous oak dresser at Cricket's Antiques & Garden Market, I knew it would be a great contender for a whitewashed makeover! Using General Finishes Winter White Glaze Effects, I created a coastal, whitewashed or limed look with a few brushstrokes and lots of rags! This piece is available if you are interested. Price, dimensions, more photos, and the blog post link are below in the comments section. Do you want to try Winter White Glaze for yourself? Pick up a pint from my General Finishes display at Morgantown Market" - Eight Hundred Furniture, LLC.